ST.PETERSBURG, September 1. /TASS/. Nazism is being revived openly and cynically in the Baltic countries and Ukraine, Russian Security Council Secretary Nikolay Patrushev said on Tuesday. "Currently, Nazism is being revived most openly and cynically in the Baltic countries and in Ukraine. Glorification of the pro-Nazi nationalist movements takes place, their views find more and more supporters among the local population," Patrushev said during his lecture at the St.Petersburg Marine Technical University. According to him, the political leadership of Ukraine during the entire post-Soviet period has encouraged nationalist and anti-Russian sentiment of its citizens, and with the support of the United States such policy led to the forcible seizure of power by the opposition last year. 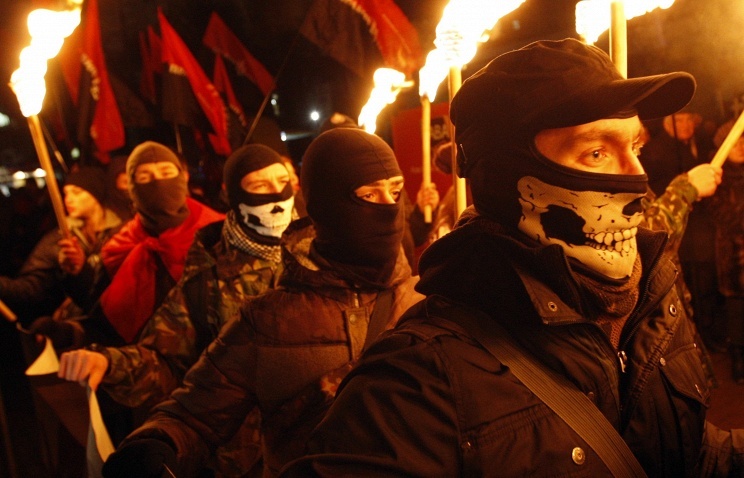 The decisive role was played by the Right Sector ultra-nationalist group. "The people oriented towards the West and adhering to anti-Russian views came to power, and anti-Russian media intensified their activities in the country. The opinion of the other part of Ukrainian citizens was not heeded," Patrushev noted. He added that the Ukrainian political leaders were forced to embrace and use radical ideology for propaganda purposes irrespective of their personal beliefs to prevent the situation from getting out of control.